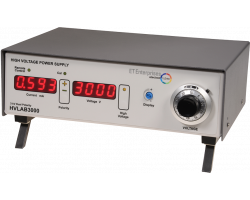 The HVLAB3000 is a programmable, 3000 V, high stability, dc power supply designed primarily for use with photomultipliers. It has a small foot-print and features a choice of positive or negative polarity. 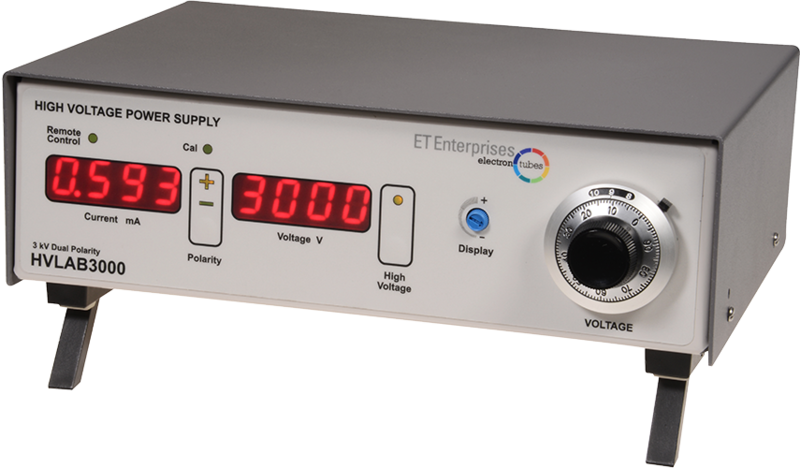 Additional ±5 V and ±12 V auxiliary outputs are provided for powering associated electronics modules such as amplifiers and photon counting instrumentation.